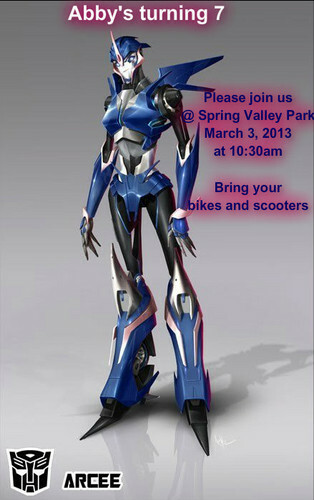 arcee invite. abby bday. Wallpaper and background images in the transformers Prime club. This transformers Prime fan art might contain pectoral, auspicios, egis, peto, égida, and aegis.